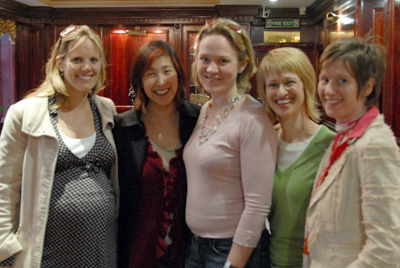 At the end of April I took a short trip to London to visit with four of my dear friends from my leadership tribe. It had been about three and a half years since we were all together, so we were thrilled to have a mini-reunion. 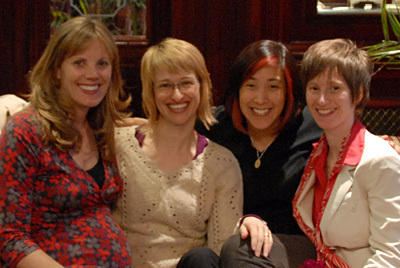 The four bellas – a radiantly pregnant Tina, Lisa, me and Fiona – were happy to be together. We have been connecting off and on on the phone over the past several years and it’s always like a breath of fresh air when we’re all together. Fiona, being the fabulous idea generator that she is came up with a “development day” concept where each of us got time to share what was going on in our lives and get support, coaching, insights and feedback. Pretty awesome considering we’re all trained coaches who care deeply about each other! 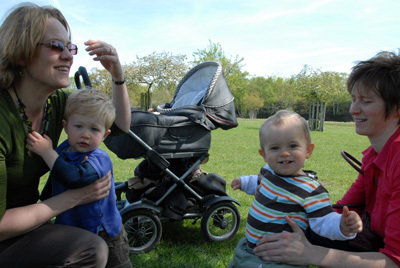 Beks‘ son Callum and Fiona’s son Pierre meet for the first time. Too cute! 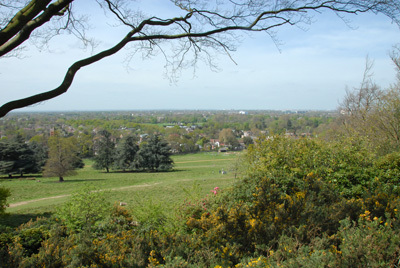 A gorgeous view from Richmond Park where we spent a warm, sunny afternoon with the boys. All five of us together before heading out to dinner at a delicious Turkish restaurant. 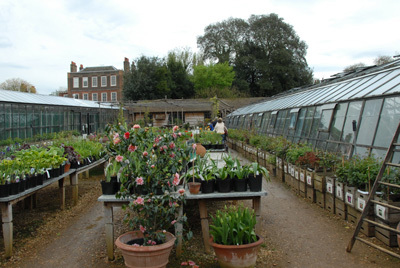 An afternoon at Petersham Nurseries. 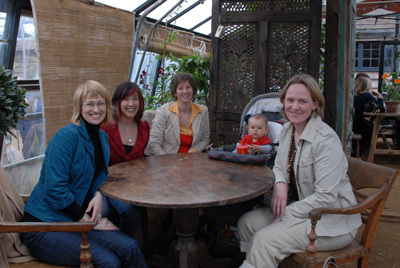 We dined on yummy sweet potato and ginger soup in the lovely Petersham Nurseries greenhouse. Just heavenly! 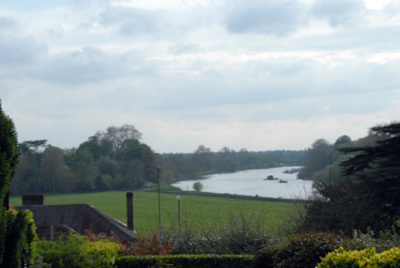 A view of the Thames from the Petersham Hotel where we enjoyed high tea complete with finger sandwiches sans crusts and scones with clotted cream. A table near us had a group of gray-haired well-dressed women and we joked that that would be us forty years from now at one of our future reunions! I love to think of us continuing to make time to connect like that. These women are such an important part of my life and we have seen each other through lots of growth and transition. I am so glad I said yes to this spontaneous trip to spend time with dear friends. I work with Petersham Nurseries. We’re thrilled you had a lovely time and a hearty bowl of soup! Come back any time your in the UK. looks so fullfilling and fun! glad you had a wonderful trip.